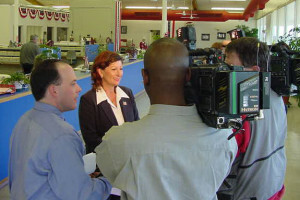 More than 500 candidates are expected to file for 2014 state and federal elections April 9-11 at the State Capitol in Oklahoma City and huge numbers are expected at County Election Boards throughout Oklahoma. At the State Capital, filing will be open from 8 a.m. to 5 p.m. Wednesday through Friday in the north hall of the Capitol’s second floor outside Room 230. Races on the ballot include most statewide offices including governor and lieutenant governor, all five of Oklahoma’s seats in the U.S. House of Representatives and both of the state’s U.S. Senate seats, a rare occurrence. In addition to the regular six-year U.S. Senate term that was already scheduled to be on the 2014 ballot, the two-year unexpired term for the seat currently held by Sen. Tom Coburn will also be up for election. 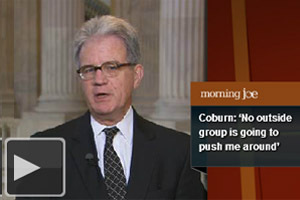 Coburn is resigning the seat. All State House of Representatives seats are also on the ballot, along with even-numbered State Senate seats and the unexpired term for State Senate District 5. Others who will file with the Oklahoma State Election Board include candidates for district attorneys, district judges and associate district judges. County voters will elect assessors, treasurers and district 1 and 3 commissioners. Candidates for those offices will file at their respective county election boards. To download a candidate filing packet or get other information about the filing period, visit the State Election Board’s website: http://elections.ok.gov.